Oregon DMV & DACA: Say it ain’t so? This page last updated 01/17/2013. DACA grantees eligible for Oregon licenses. Oregon DMV refusing to issue licenses to youth approved for Deferred Action? That can’t be, right? Did someone at the Oregon DMV get confused and think that they are actually working for the Arizona DMV? Last time we checked, John Kitzhaber was still the governor, not Jan Brewer. We’ve heard reports from different immigrant youth seeking their licenses from Oregon DMV that the DMV won’t issue a license. The change seems to have come about on Thursday of last week. We are investigating and will post more information here as soon as we can. Help us understand what’s happening! If you are an Oregon youth with an approved DACA or Deferred Action application and you were refused a license because of your DACA status, send us an email at dreamer@ilgrp.com. In your email, tell us: your name, when your Deferred Action was approved, and when you went to DMV. Tell us what happened and why DMV didn’t approve your license. And tell us how we can contact you — include your telephone number, please! We are working on a plan but we need your help to understand what DMV is actually doing in the field. (FINAL) UPDATE 01/17/2013: And it’s happening! Reports from the field indicate that several of our DACA approved clients are getting licenses and ID cards from the different DMV offices across the state. Yahoo! This will probably be the last update to this page. UPDATE 01/16/2013: It’s official. Oregon DMV said it ain’t so. Oregon is not Arizona. Beginning today, Oregon DMV will follow federal and state law and issue licenses and ID cards to DACA grantees. The Governor’s press release is here. The Oregonian article is here. Thank you, Oregon. IMPORTANT: If you were granted deferred action as a childhood arrival and, after today, are denied a license or ID card because of your immigration documents – email us right away with the details – dreamer@ilgrp.com. UPDATE 01/11/2013. We understand that Oregon DMV may begin issuing licenses to individuals granted DACA as early as Wednesday January 16. We understand that there should be a public, official announcement next week to this effect. UPDATE 01/10/2013. Bummed that you applied for DACA and can’t get your Oregon driver license? It isn’t right and we know it. 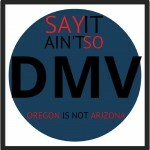 And we are pretty sure the Oregon DMV knows it, too. 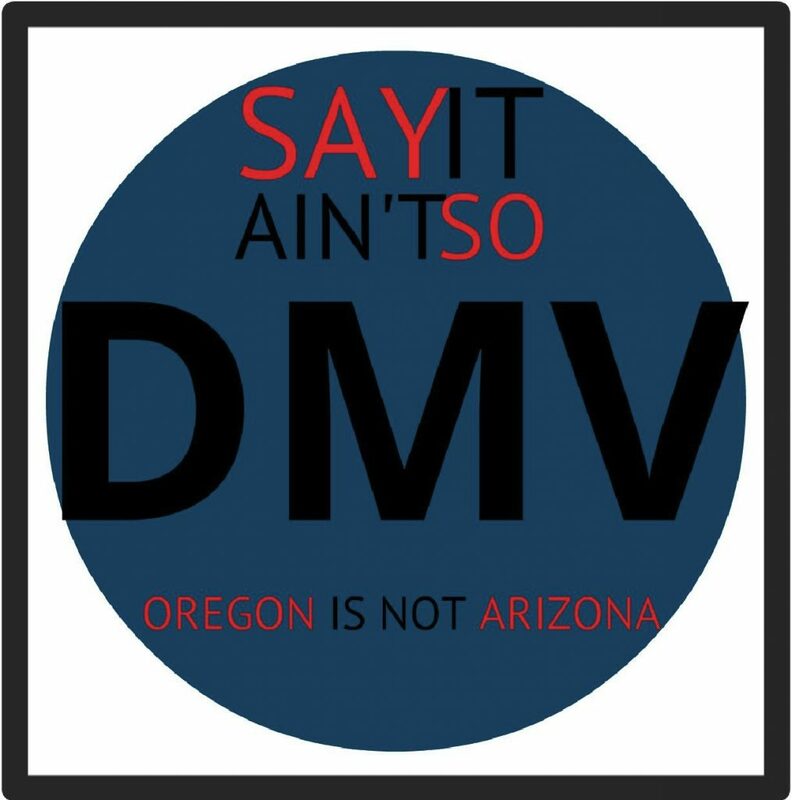 Oregon DMV’s actions are illegal, on that point we have no doubt. Don’t give up – we haven’t. We are working on the issue. Stay tuned. UPDATE 12/20/2012: Hmm. We assume you’ve all seen the article in The Oregonian? If not, check it out. Accordingly to the government officials quoted in the article, no one is to blame. Why they think that we cannot say because the law is not complicated. Heck — even Georgia (!) and Alabama (!) are following the law. Anyway, here is what we know: the Oregon Chapter of the American Immigration Lawyers Association has reached out to the governor’s office seeking a meeting. No word back yet from the governor. All DMV agents received a fax yesterday instructing them to cease giving any kind of license (temporary, interim, or regular) to DACA grantees. UPDATE 12/18/2012: We got asked the other day, why are DACA-granted youth eligible for an Oregon driver license? Our answer: because the law says so. And here is our reasoning in this memorandum of law. It doesn’t take a rocket scientist (just a couple of lawyers!) to read the rules and see that DACA granted youth are 100% eligible for licenses and identification cards. UPDATE 12/17/2012: We still do not have any official confirmation of the policy change; however, we have several reports from individuals that they have been denied licenses based on their DACA status. Today, Causa delivered a letter to the Governor of Oregon requesting a meeting with him to discuss the issue. No word from the governor yet. But let us be bold for a moment and say quite plainly: every youth granted deferred action under DACA is legally present in the United States and is eligible for a driver license. That is the whole point behind DACA. DACA documents — that is to say, DACA provides a mechanism for immigrant youth to leave the shadows and go from being an undocumented immigrant to a documented immigrant.